Here at The Woods Group, we consider our people to be our greatest asset and continuously invest in our team as part of our focus on providing added value to our customers. 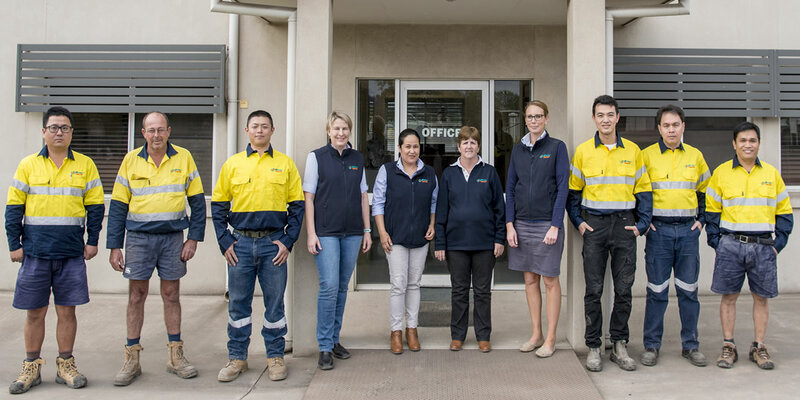 Our experienced and dedicated team of more than 90 people enjoy a wide variety of roles, full training, and opportunities to innovate and grow with the business, as well as work in some of the best locations across Queensland. The Woods Group is committed to ensuring the safety of all personnel engaged to perform a work-related task on its behalf. As part of this commitment, The Woods Group requires all contractors and employees to undertake a health and safety induction. This process is also designed to ensure the safety of all visitors, neighbours, property and the environment is considered and controlled prior to the performance of any work-related task. You will require a password to enable access if you wish to complete the program prior to entering our workplaces.